Speed work is an essential component of any strength program, and a dependable platform can build the literal foundation for it. The 8' x 4' Rogue Deadlift Platform features a 2x2" 11-Gauge Steel frame, and ships standard with (2) floor plates. This design allows for safe band use outside of a power rack without having to bolt the platform to the floor (our standard Oly Platform, by comparison, requires bolting to the ground for band work). Customers can quickly assemble the Rogue Deadlift Platform thanks to a bolt-together design and laser-cut / precision-bent gussets. The provided band pegs are extra long to work with longer specialty barbells in addition to standard barbells, and a set of floor clips are included to secure each end of the platform to the ground. Rubber Tiles: An 8 Pack of 24x24x1.5" Rubber Tiles is available with this product. Combination of Plywood and Stall Mats: Lay 1 full sheet of 3/4" plywood down as the base. Cut two 2' wide strips of stall mat and one 4x4' piece of 3/4" plywood to be used as a top layer. To help create and sustain a more level surface when using the floor plates, we’re now offering an optional upgrade with a set of (3) pieces of radiata pine plywood, which can be inserted between the steel floor plates. Two of the wood pieces are 47.5” x 27.5” x .375” thick, and the third (middle) piece is 47.5” x 31.75” x .375”. Once the wood pieces are inserted between the slats, customers should still use rubber tiles or stall mats as their lifting surface. Rogue Deadlift Platform is rated 4.4 out of 5 by 14. Rated 4 out of 5 by Hybrid Strength from Quality product with a few minor design flaws. If your gym has monsters deadlifting 700+ lbs on the regular like ours, you may have or had this issue. I found that the frame began to twist and bend from the band tension, and the bolt together frame and open corner covers were no match. To fix this problem, I had the frame straightened, the corners welded, and 8 additional anchors made to hold the frame down. Fixed the problem and haven't had any issue since. Suggest welding the corner covers. Additional anchors I'm sure can be purchased, and are HIGHLY suggested if you have members pulling big numbers. Rated 4 out of 5 by JamesC from Very nice platform, requires slight modification I recently bought the deadlift platform for home use, while I am very happy with the overall construction an the quality, I had to buy additional timber as I am using the floor plate kit. If you use the floor plates along with the band pegs, the floor plate kits raise the middle part of the platform by a few MM, so I had to buy 2 x (4ft x 2ft) 3MM MDF to compensate for this. Rated 4 out of 5 by GYM ONE from Detail misses for product Overall the deadlift platform is very good. However, there is one issue that others have mentioned that is frustrating. If you purchase the floor plates option, the result after assembly with be that the rubber tiles lay uneven. The fix is very easy, but kind of an unexpected pain. We simply used 3/8" rubber flooring and cut it to fit the areas between the floor plates. Now the rubber tiles are even and it looks and works great. The other issue is very minor. One of our platforms had the ROGUE brand sticker put on upside down. Obviously only an aesthetic issue. So far the platforms have performed very well and we will purchase them again. Rated 5 out of 5 by jippie_j from Great Platform I bought the platform with out the floor plates...Drilled 4 holes with a hammer drill, inserted 4 bolts...I don't know what all the fuss is about. Why are people so scared to drill holes in concrete? Rated 3 out of 5 by jdss from The Platform Was Great, The Floor Plates Are Bad! I put it all together, worked very well. Then I ordered the floor plates to go with it and now it's just plain terrible. The reviews are correct! Trust em. The Rogue Mats do not fit properly and honestly I am shocked to read that this has been an issue for so long and not fixed, I'm really let down by this. Not cool. Rated 4 out of 5 by Brandon Campbell from Great platform, major flaw. As others have stated, this thing is really nice. 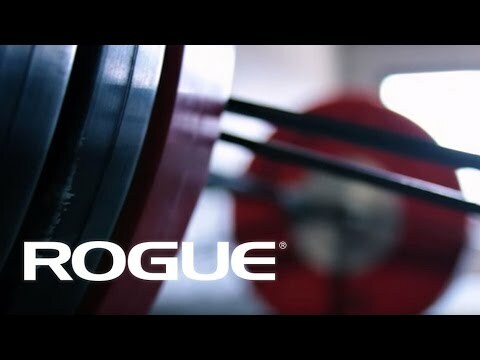 Built well to Rogue's high standards. However the floor plates cause a major issue that makes it so you cannot put down a completely flat base. Rogues own tiles are uneven on top of them, and putting a layer of 4x8 plywood causes some issues as well. I found the best solution is to but a piece of 1/4" to 1/2" plywood and have it cut in 3 pieces: (2)27.5"x47.5" and one 31.5"x47.5" piece. You can then lay these in the gaps and then put your flooring of choice over them. Rated 4 out of 5 by Harlequin0318 from Everything is great except... The slats that go underneath the platform were really useless, we weren’t able to keep them in because the platform was raised too high in the center causing the sides of the platform to be significantly lower. Also our rogue sticker on the platform was upside down. Once we removed the slats everything was fine & level. Rated 4 out of 5 by Krat7260 from Great product, but desperately needing revision. I have 4 of these platforms... we love them... once we take the time to correct a problem. The slats that come with the upgraded version create a problem, with the rubber tiles unable to lie flat. Rogue needs to address this design flaw. They can either notch out a 1/4“ deep strip out of 4 of the tiles, or provide 3 1/4” pre cut pieces of plywood to place in between steel slats... so as to level out the platform. Also, the tiles could definitely fit together tighter. Right now I’m forced to place 1/4” thick pieces of 1” wide strips of plywood around the inside perimeter. This could easily be corrected by cutting the square tubing just a bit shorter. 2 easy fixes, and this is a 5 Star product.